Sheila Crump Johnson was born on the 25th January 1949, in McKeesport, Pennsylvania USA, and is a businesswoman, CEO of Salamander Hotels and Resorts, co-founder of BET, and the owner of the WNBA’s Washington Mystics. Thanks to her entrepreneurial skills, Johnson became the first African-American woman billionaire. Have you ever wondered how rich Sheila Johnson is, as of mid-2016? According to authoritative sources, it has been estimated that Sheila’s net worth is as high as $710 million, an amount earned throughout her career as a businesswoman. In addition to being a quite successful entrepreneur, her divorce settlement with former husband Robert L. Johnson made her a fantastic $400 million. 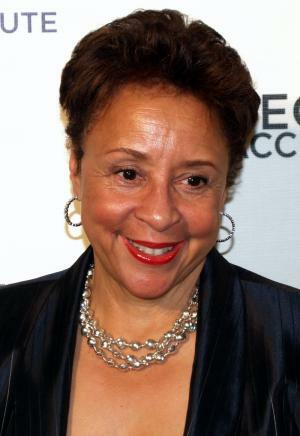 Sheila Johnson was born to an accountant mother and neurosurgeon father, and went to Proviso East High School in Maywood, Illinois, then studied at the University of Illinois. She started her own business after divorcing her husband Robert L. Johnson in 2002, in 2005 founding Salamander Hospitality, a company that includes the Reunion Resort in Florida, a 72 hole PGA Tour golf course in Florida, The Innisbrook Resort and Golf Club, a 900-acre (3.6 km2) The Salamander Resort & Spa in the Blue Ridge Mountains in Middleburg, VA, and The Woodlands Resort & Inn, in Summerville, South Carolina. All add consistently to her net worth. 2005 was the busiest year in her life and career; Johnson purchased the WNBA’s team the Washington Mystics and currently serves as team president, governor, and managing partner. She is also a partner in two other Washington sports franchises: the Washington Capitals (NHL) and the Washington Wizards (NBA). Johnson was a co-founder of BET (Black Entertainment Television), but she and her ex-husband sold the Television to Viacom in 1999, which only increased further her net worth. Johnson has also produced a few films, including the documentary “Kicking It” in 2008 and “A Powerful Noise” in 2008, premiered at Tribeca Film Festival in New York. Regarding her personal life, Sheila Johnson was married to Robert L. Johnson from 1969 to 2002, and they have two children together. Later, she married Arlington County Circuit Court Chief Judge William T. Newman, ironically, the man who was the judge over her divorce from Robert L. Johnson. They married in 2005 but had known each other for some 30 years since they participated in a play together. Sheila is well known as a great philanthropist, and is a Global Ambassador of CARE, a humanitarian organization that fights global poverty. Her movement “Sheila’s I Am Powerful Challenge” managed to raise over $8 million in 2007. Johnson is a Chair of the Board of Governors of Parsons The New School for Design in New York and also is on the boards of VH1’s Save the Music Foundation, the University of Illinois Foundation Americans for the Arts, the University of Virginia, and the Curry School of Education Foundation. She is a Democrat, but supported the Republican Virginia gubernatorial candidate Bob McDonnell in 2009 until she slammed him for the omission of slavery during honors of Confederate History Month in 2010.